Transformation of the Day: Erika lost 44 pounds. Uncontolled asthma, aches and pains led her to pursue a true lifestyle change. She transformed her eating habits and made exercise a priority. 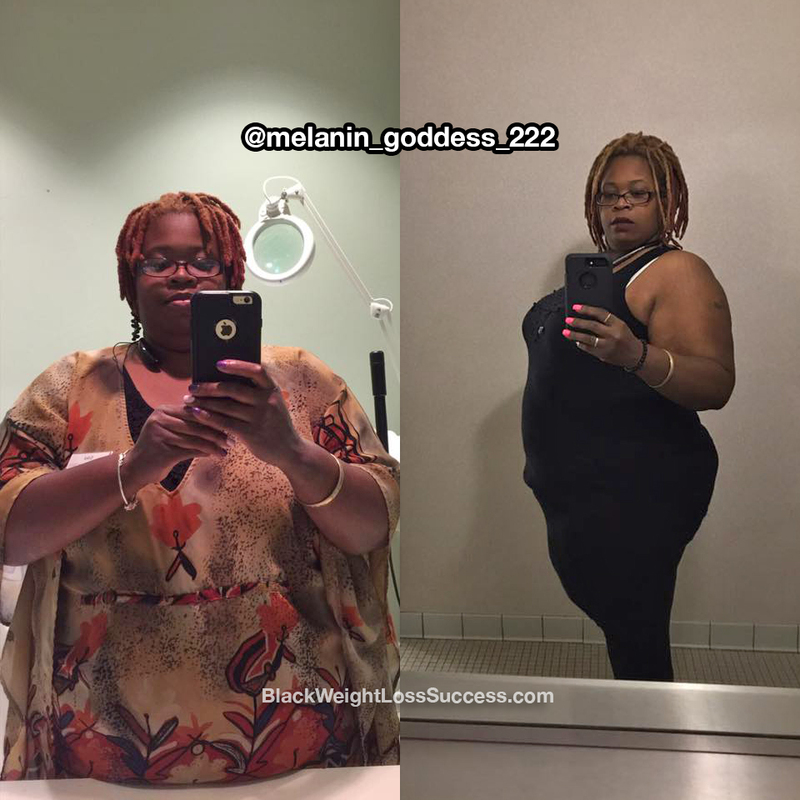 Read about how she took action and got results. My motivation was my health. I am asthmatic and there was a point when the condition was severely uncontrolled. There was a period when I was having asthma attacks at least once a month and needed my rescue inhaler everyday. I also had aches and pains, especially in lower body, because of the weight that I was carrying. Somehow, I suffered a cracked bone in my left foot and doctors aren’t sure how it even happened. What kept you going during the tough times? Every time it hit a roadblock, my daughter was my biggest motivator. I would remind myself that I have to lead by example. I decided to begin my journey to becoming vegan. As of right now, I am a pescatarian [a vegetarian who eats seafood ]. In addition to eliminating meat for my diet, I also stopped drinking alcohol, pop and juice. I mainly drink water (infused, alkaline, distilled and purified), green tea, homemade smoothies and very rarely coffee. I have eliminated dairy products (except cheese, which will be removed soon). I have stopped eating fried foods and only order salads if I visit fast food restaurants. I also learned how to control the portion sizes of what I consume in one sitting, and I don’t eat right before going to bed. Because I had a busy schedule, I had to get creative when it came to working out. I started out by going for walks in the park when the weather permitted. When I would go places, I would try to park far away from the entrance. Now, while I am at work, I take brakes throughout the day to go for walks. I purchased some free weights, so I can workout while I watch TV. 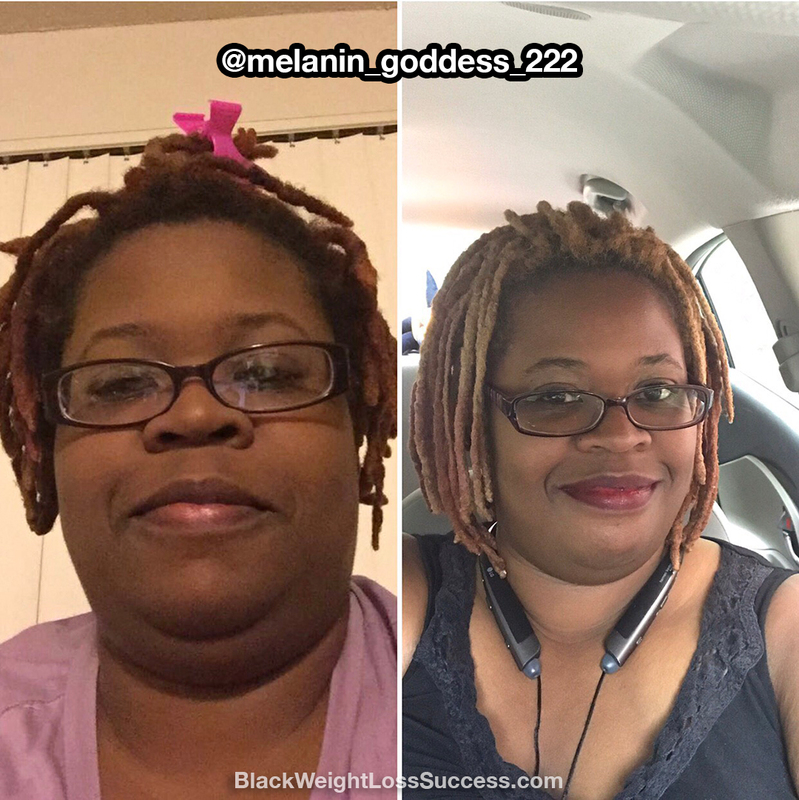 I also have participated in Black Women Losing Weight‘s & JJ Smith’s monthly challenges. I have gotten into the habit of trying to setting a mininum step goal everyday. My journey began in Fall of 2015. There have been periods where I’ve had set backs. I understand that it is going to take some time to reach my ultimate target weight, but I am determined to continue. What advice do you have for other people who what to lose weight? Don’t give up. The most important thing that I have learned is that you have to change your way of thinking. You have to understand that the majority of your weight loss journey is going to be about what you eat. You can workout like a beast, but have bad eating habits and undo your progress. Changing your eating habits is an important step, because you can start to see results before you start exercising. Also, don’t beat yourself up if you give in to a cookie, or some ice cream once in a while. Just don’t go overboard.